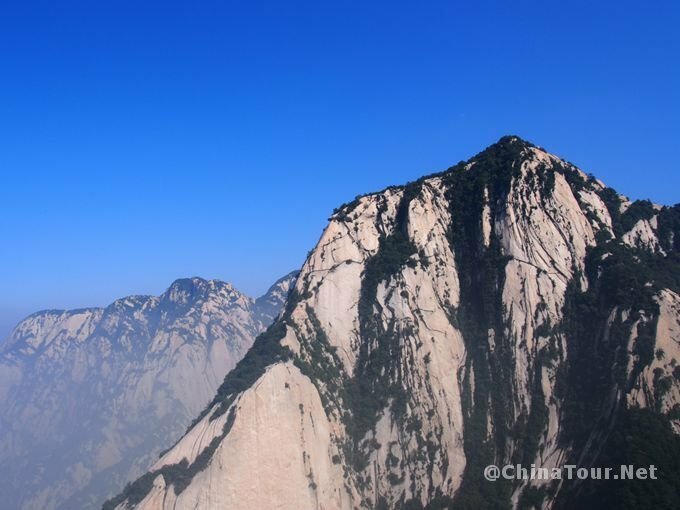 Huashan Mountain is one of the most famous mountains in China. 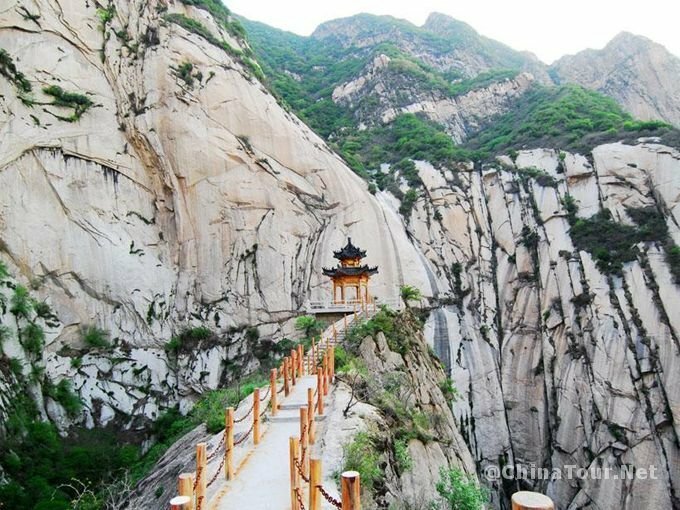 Huashan Mountain is located 120 km away from Xi’an. The name Hua means flower in ancient times. Some peaks look like flowers. 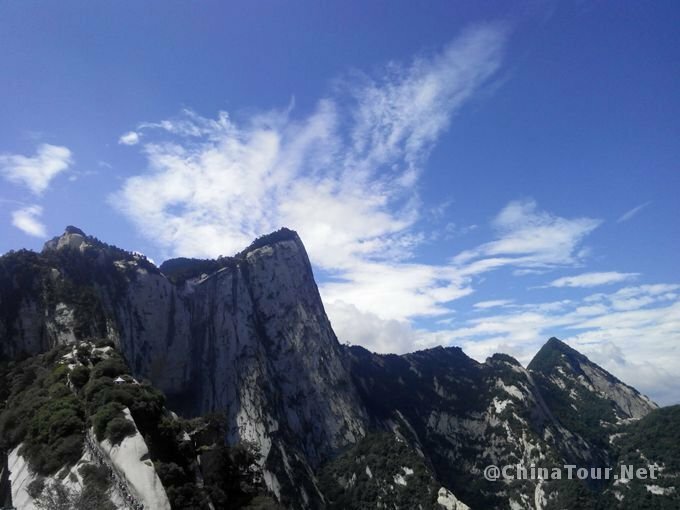 So the mountain is named Huashan. Shan is Chinese for mountain. 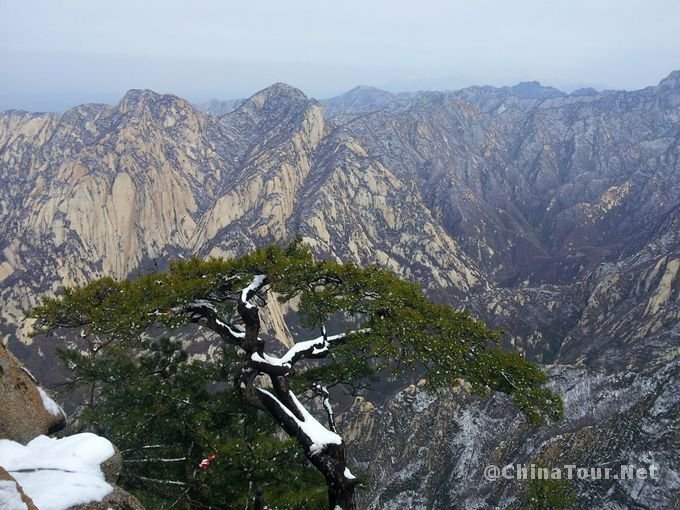 It has been well-known for its sheer cliffs and plunging ravines since the ancient times. The mountain has always been a place difficult of access. Now, with all the facilities well equipped, climbing the mountain will still take your breath away. 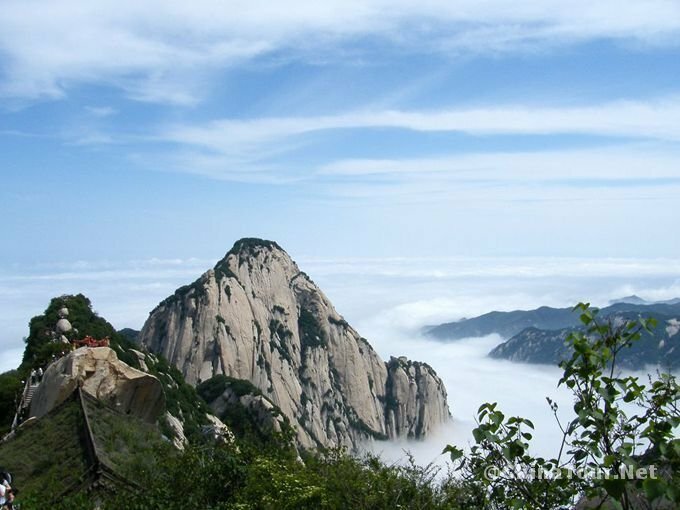 Huashan Mountain is a sacred place of Taoism. 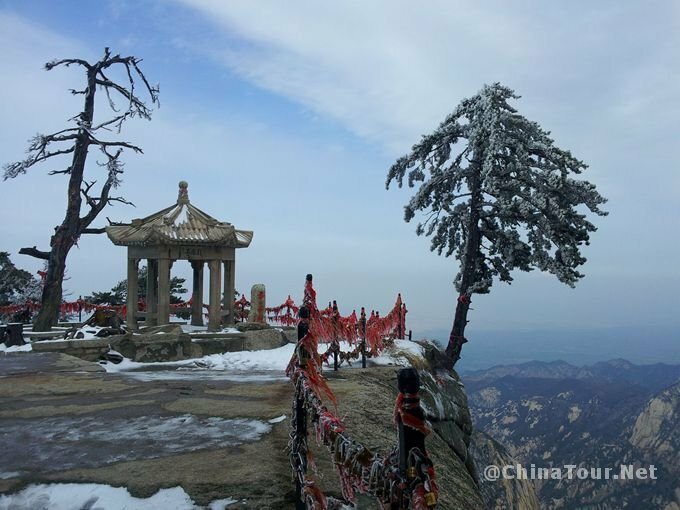 There are more than 20 Taoist temples on the mountain. It is also one of the best places in China to watch sunrise. The Chaoyang Platform is the perfect spot to watch sunrise. There are five peaks in the mountain. Sunrise Peak (East Peak), Lotus Flower Peak( West Peak), Falling Goose Peak (South Peak), Falling Goose Peak(South Peak). The Sunrise Peak is a good place to enjoy the sunrise in the early morning and it is quite popular with the tourists. 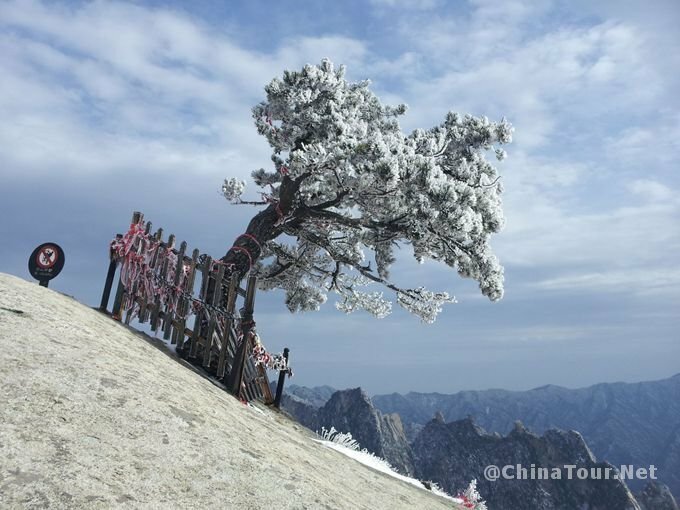 The best time to visit Huashan Mountain is from April to October. The scenery appears different in spring, summer, autumn and winter. The ticket is valid for 2 days. 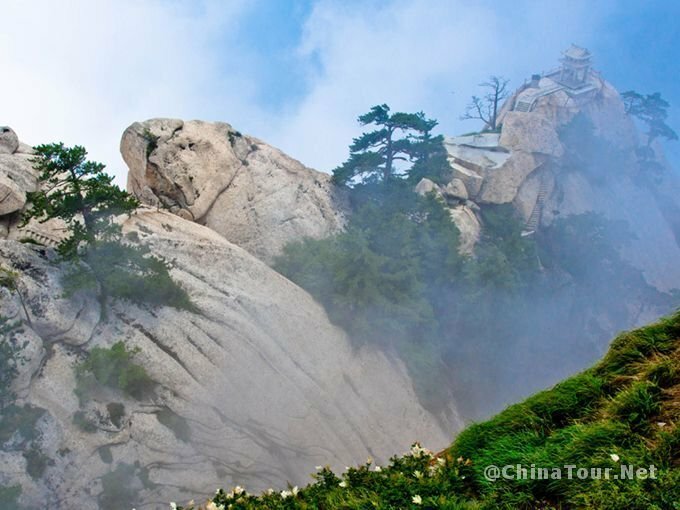 Most tourists would like to go to Huashan Mountain from Xi’an. High-speed trains been available from Xian North Station to Huashan North Station. It only takes about 30 minutes. For other fast trains, it takes about 1 or 2 hours. 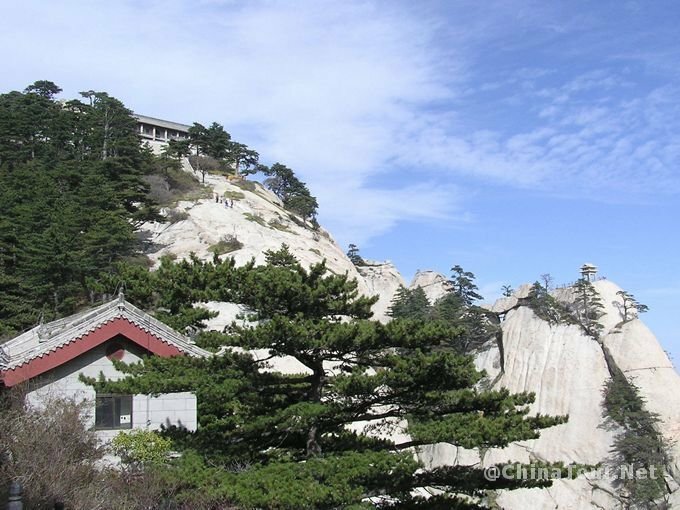 After arriving at Huashan Train Station, tourists could take a bus or a taxi to get to Huashan Scenic Area. Before climbing the mountain, it’s best to eat some food to save strength for climbing. There are bottles of drinking water available on the mountain. However, it is more expensive than the ordinary price. Wear comfortable shoes and bring warm clothes if you would like to watch sunrise. Our tour operator will reply soon. Please check your email later.